I am smitten by these mittens! 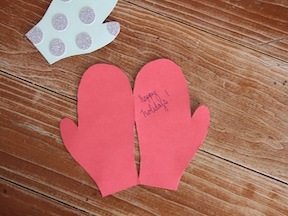 These Mitten Holiday Cards are the perfect DIY to make for loves ones this holiday season, and the best part is: the kids can help with this craft! Try this as a Christmas craft to get little ones into the spirit, or just as a fun winter project. 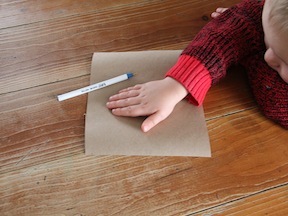 Step 1: Trace your little one’s hand, or simply draw a mitten shape onto your scrap paper. 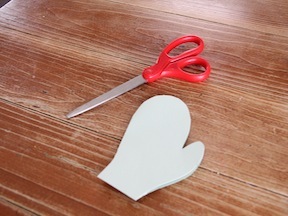 Step 2: Cut the mitten shape out from the scrap paper. This will be your template for your cards. Alternately, you can just trace the hand straight onto the cardstock, but my little guy tends to move a lot and I didn’t want to waste cardstock. 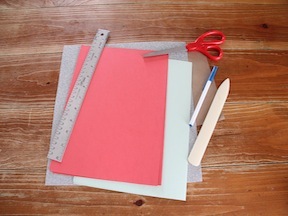 Step 3: Select a piece of cardstock and fold it in half. 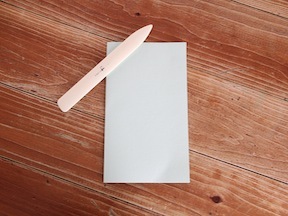 Make sure the crease is as smooth as possible. I used this bone folder, but your finger would work just fine. 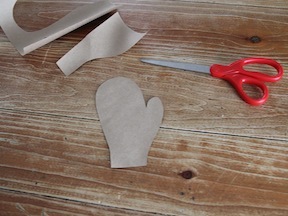 Step 4: Trace the mitten template onto the folded cardstock. 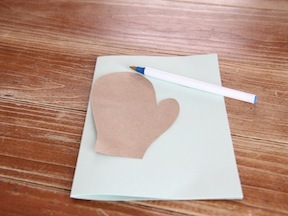 Place the mitten template so the right side of the mitten is flush against the fold of the cardstock (as shown in the photo below). This part by the crease will not traced or cut—we need that crease intact! 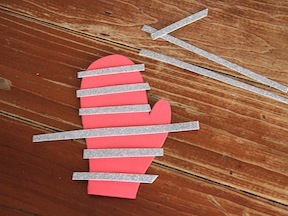 Step 5: Cut out your new cardstock mitten. Again, make sure you leave the crease (the right side of the mitten) uncut. If you cut out the whole shape, it won’t open up like a card. Step 6: Using the hole punch, punch out a bunch of glittery circles from the glitter cardstock. 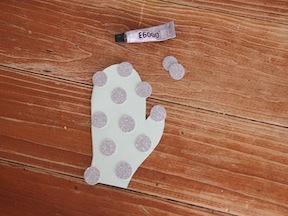 Step 7: Arrange the polka dots on your mitten and glue them on. 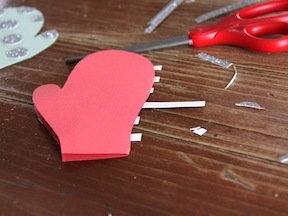 Step 8: If you’re making more than one Mitten Holiday Card, try changing it up a bit. Cut some strips of glitter cardstock and make stripes for the pother card. Glue these onto the second card, as shown below. Step 9: Allow the glue to dry completely. 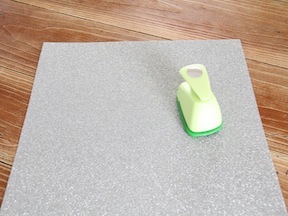 Once dry, flip the mitten over and trim off the excess glitter paper so you have clean lines. Step 10: Open up your cards and let your kids write a warm holiday greeting. See, aren’t these cards darling? Enjoy! 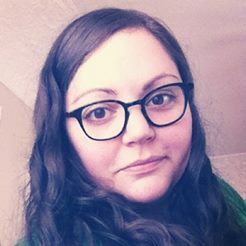 Find more fun crafts from Kersey Campbell at ARDOR.